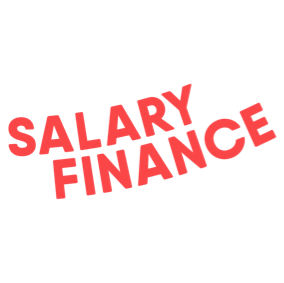 Salary Finance is one of the UK’s fastest growing free employee benefits. By partnering with employers, we offer an employee benefit, which allows hardworking individuals to improve their lives by improving their finances. More specifically, our financial wellbeing solutions help employees save regularly, advance their earned pay, borrow responsibly, and learn positive financial habits. We are a company underpinned by a social mission: through technology and innovation, and with the support of employers, we strive to make the lives of millions of people less stressful, more productive and much happier. To learn more about our financial wellbeing solutions as well as watch testimonials from the employees whose lives we’ve changed themselves, please visit our website. Providing employee financial wellbeing solutions to over 1 million employees across the UK and the US. One in three employees say their work is negatively impacted by money worries. To address this, SalaryFinance provides employers with a cost-and-risk-free employee benefit, which helps their staff to access valuable and ethical financial well-being products, delivered via salary deduction. Accessing affordable loans at interest rates from 3.9% APR. Our customers save over £500 in interest costs on average. Boosting short-term savings creating a secure safety net by saving direct from their salary. Understanding their money better: Our educational services and tools can help customers understand their money better, and how to prepare for their future.